This is the perfect hangover cure ideal for Sunday brunch - it worked a treat today I can tell you! 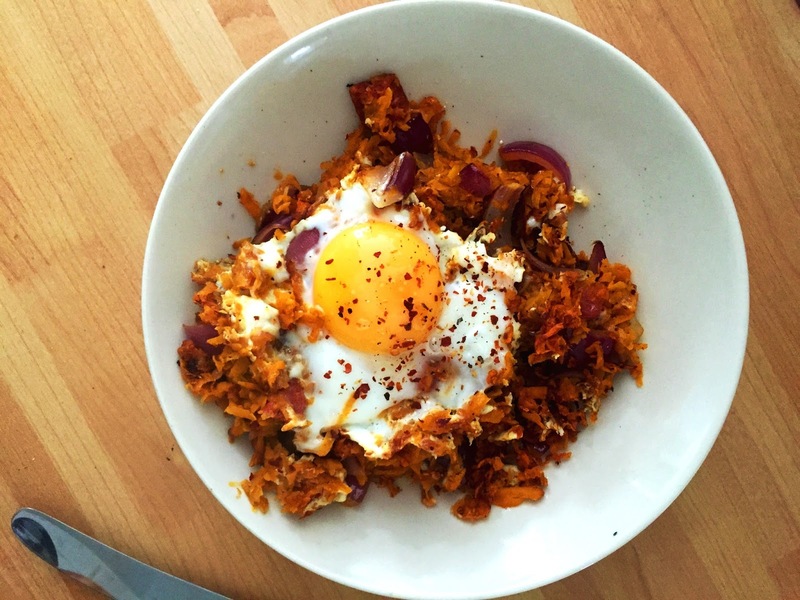 It's so quick and easy to make, and tastes amazing: the flavour of the chorizo mixed with the yolk and crunchy sweet potato works really well. In hindsight, 20g of chorizo wasn't enough, so I'd definitely use either 30 or 40g next time. Wash the sweet potato and then grate it. Chop your red onion and along with the sweet potato put in a pan and start to cook on a high heat (cook in coconut oil, obvs). 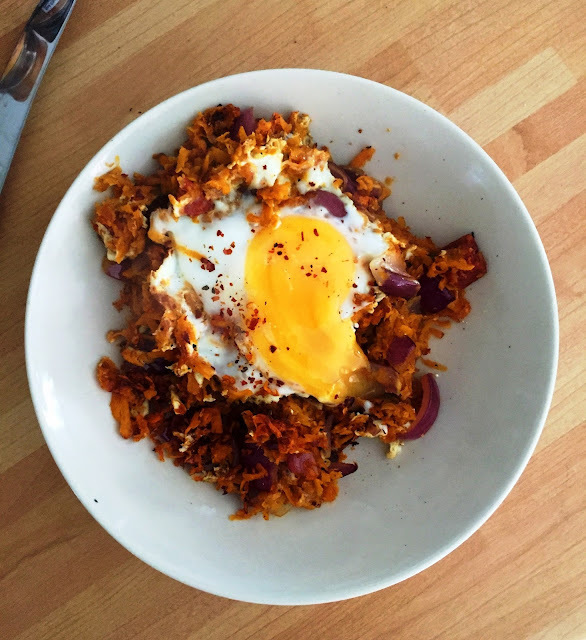 Once the red onion and the sweet potato has browned, add in your chorizo, paprika, salt & pepper, turning your hash to stop it sticking. After 5 minutes, make a 'nest' in the hash and drop an egg in the middle, and cook until all the clear has turned white. Sprinkle your chilli flakes on top, and devour!